S&B's 9mm "Police" load is hermetically (a.k.a. air tight) sealed at the case mouth and primer. This additional sealing process, specifically designed for the tighter tolerances that Law Enforcement requires, results in a cartridge that is more resistant to the ill effects of moisture. This configuration packs five 50 round boxes into a vacuum sealed plastic battle pack, making it ideal for long term storage. 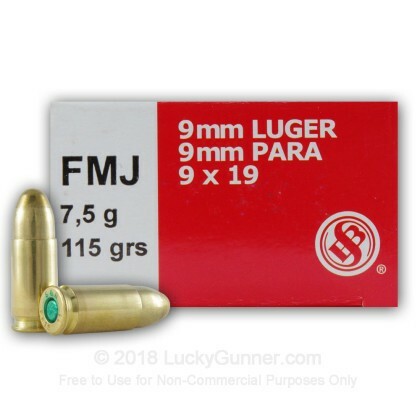 This load is said to be slightly "hotter" than the standard S&B 9mm load that you are familiar with. 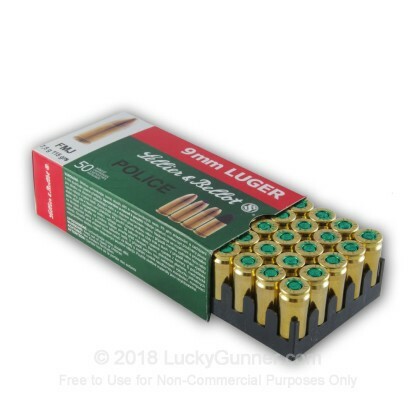 We don't have any reviews yet for this particular 9mm Luger (9x19) ammo from Sellier & Bellot. 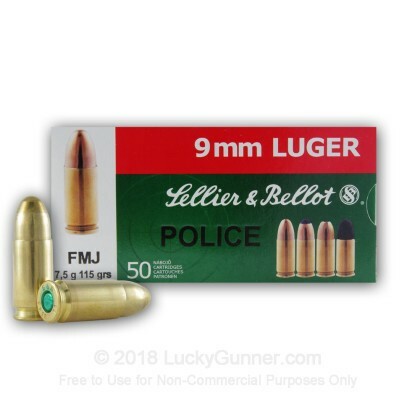 If you'd like to be the first to review this particular 9mm Luger (9x19) ammo from Sellier & Bellot, fill out the form below.